excellent night life and restaurants. Close by you can find deep sea fishing excursions as well as boat rentals, bicycle rentals for use on the continuous bike trails in and around Orange Beach, parasailing is available on the beach, and jet skis can be rented close by. Casinos are 1 1/2 hrs. to the west in Biloxi, Miss. Oversized Bacony, Lobby Level=never have to use an elevator! Balcony furnished w/large dinner table & chairs, lounge chair & high table & chairs for viewing the sunset. We loved it! We came down for a music festival and rented this condo for 5 days. It was great! The pool was always clean and tidy, the staff at Phoenix VII was pleasant and knowledgable of the area. The condo itself was perfect - just big enough for our group of 5 adults. 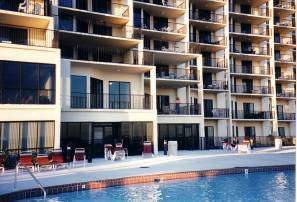 If we come down to Gulf Shores again we will definitely try to rent this condo! 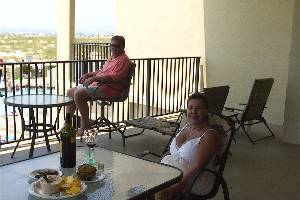 May 1, 2017 Reviewer: Chris R.
This condo was perfect for a short getaway vacation. As others stated, it never got above 75 degrees inside when setting the air to 80 and cooled off very quickly, which is nice when the weather is 90+ degrees outside. It's a very short distance from many activities such as parasailing, snorkeling, and dolphin tours. The staff are great and friendly as well. I would highly recommend this condo. Wow!, what a great condo. The lobby level entrance was really nice. The over sized balcony is just one floor above the pool with a great view of the dunes and beach. Well appointed and very nice set up inside. The owner is very nice and accommodating. Would definately do it again. This is the 2nd year in a row we have stayed at this condo. It's great-convenient to everything. I would highly recommend it to anyone. 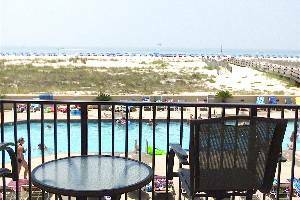 We plan to stay here each year, as long as we are able to visit Orange Beach. Due to hurricane Katrina, I was unable to stay in this beautiful condo this year. I just wanted everyone to know that Mr. Smail arranged another condo in the same building for my vacation, since he and his family were forced to stay in his unit. I did see the unit-it is beautiful. I hope to stay in this unit next year (2006). I met Mr. Smail and his family. They were very helpful, even though they were going through this rough time. 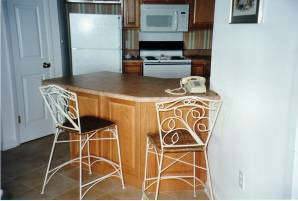 I would recommend this rental to anyone looking for a place in Orange Beach. You will never find a nicer person and beautiful condo. $100 reservation/damage deposit, refundable. Pls. call for seasonal rates. Deposit: $100 reservation/damage deposit, refundable.